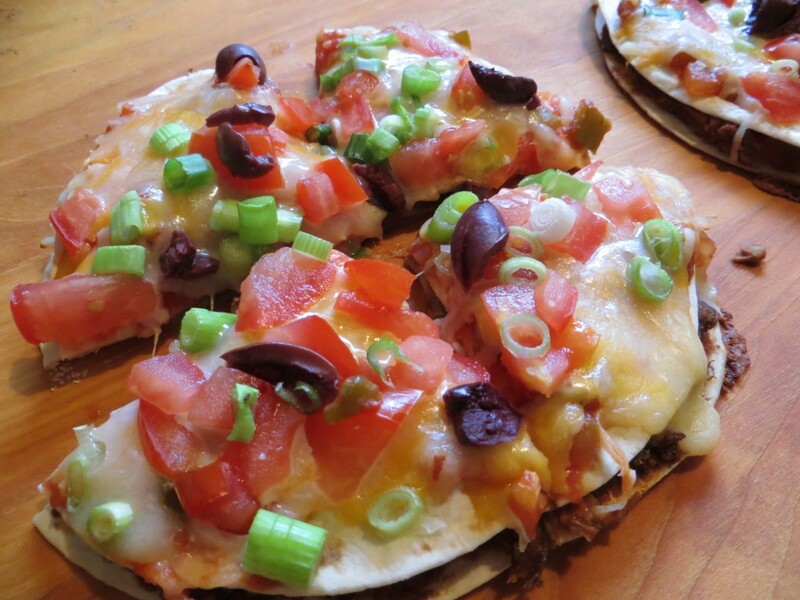 I am a sucker for Taco Bell’s Mexican Pizza. That is now history. 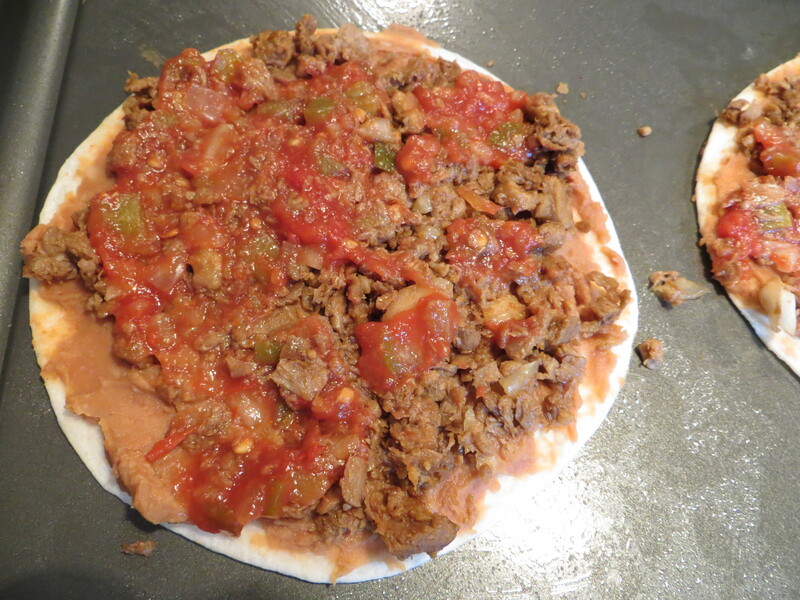 MY MEXICAN PIZZA rocks and I’m booting Taco Bell out the door. 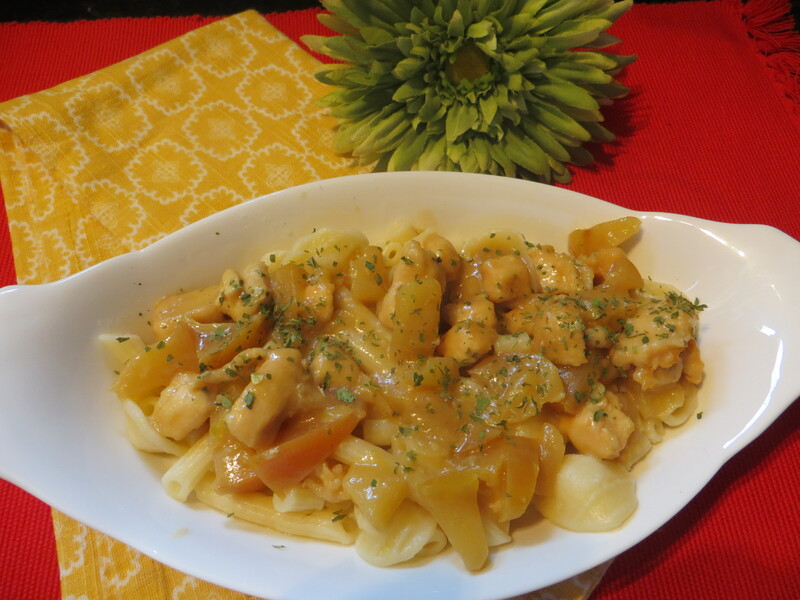 Not only is this an easy dish to make (and filling), it is rather low in calories. The biggest calorie binge is the cheese, but even that can be purchased low-fat. The other thing I love-love about this meal is the portion size. 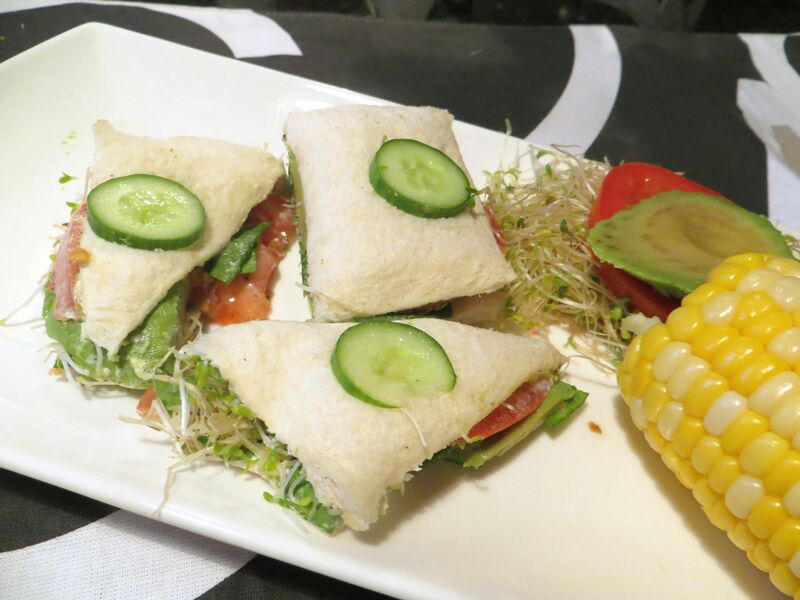 You can make it a meal or make it an appetizer. Place two tortillas onto a cookie sheet that has been sprayed with a non-stick cooking spray. 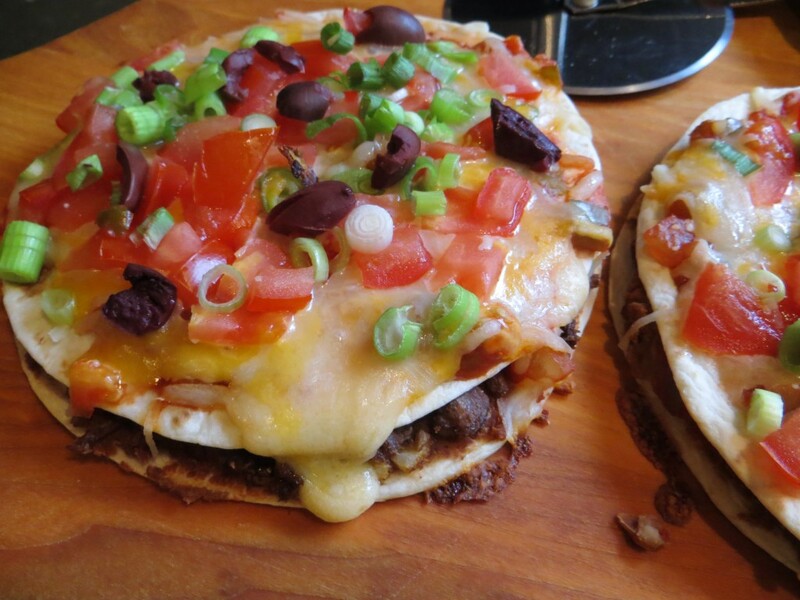 Spread each tortilla with a layer of refried beans, burger and salsa. 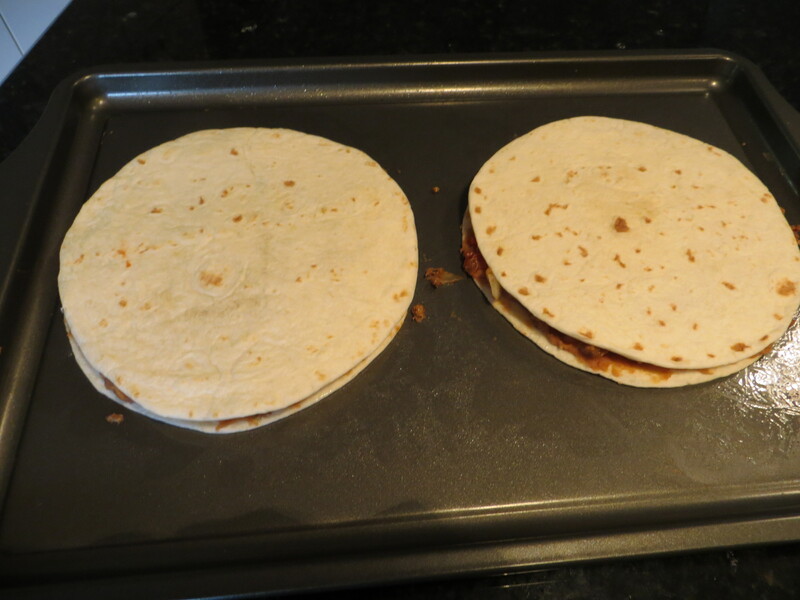 Place a second flour tortilla on top and bake in the oven for 10 minutes in a preheated oven at 350 degrees. Remove from oven and allow to cool for a few minutes. 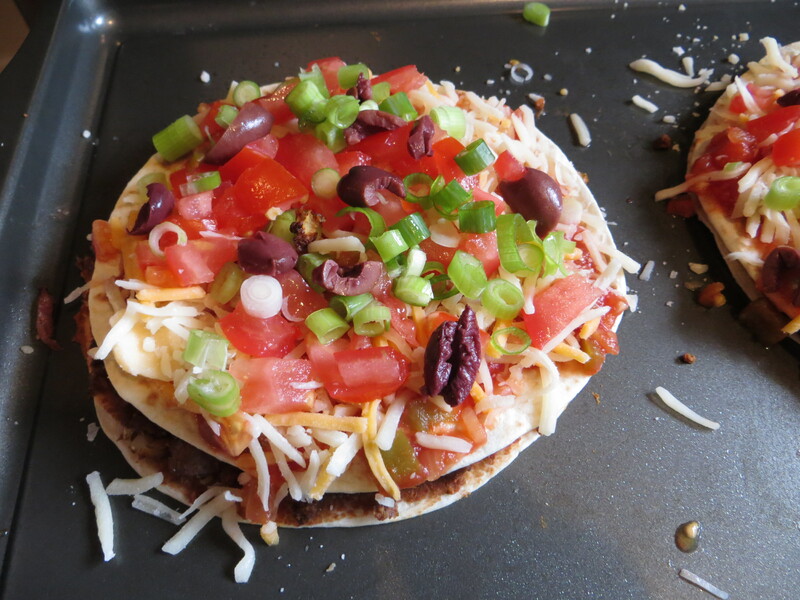 Then add a layer of salsa, cheese, green onion, black olives and tomatoes. Return to oven and cook for another 8 minutes. 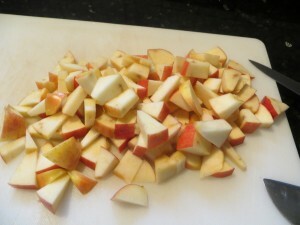 Remove from oven and allow to cool slightly before slicing into quarter sections. It’s been one of those weeks and it’s not over yet. It’s only Wednesday. If there was bad news to be delivered, it arrived on my doorstep. A software crash at work, $700 plus to fix it, one day of lost business data, customer shipping errors, my assistant is off sick and so on and so on. So cooking has been about the last thing I want to do. But, since eating is necessary to sustain my get-up and go, I had to get up and go to the kitchen to make meals. Today’s lunch took 5 minutes to prepare and another 5 minutes to shovel into my mouth. All 200 calories of it. A lightly toasted thin bagel slathered with honey mustard, three slices of ultra thin sliced deli ham (Hillshire brand, 99% fat-free) and a sprinkle of shredded cheddar cheese. 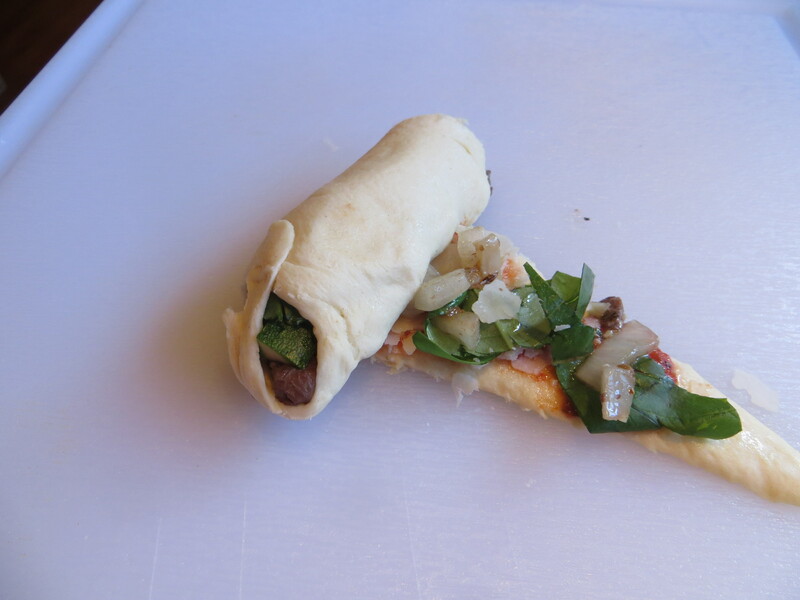 I popped it in the microwave until the cheese melted, added mixed greens and I was good to go. Oh yah, let’s not forget the three large strawberries on the side. 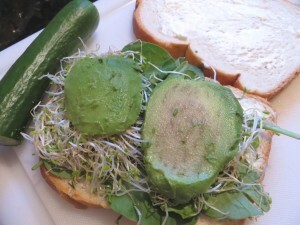 For quick and easy, it was actually a pretty good sandwich that was filling and low in calories. 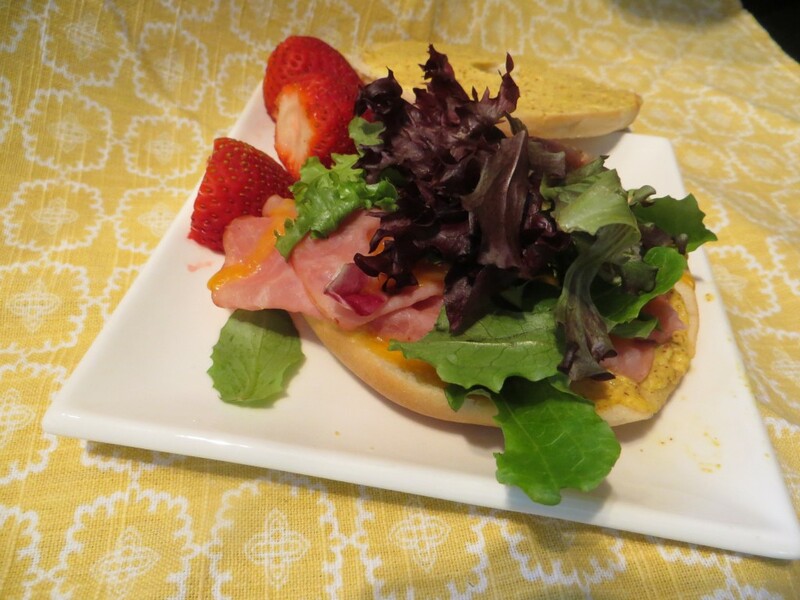 Make this an open face sandwich and you will cut 65 calories. 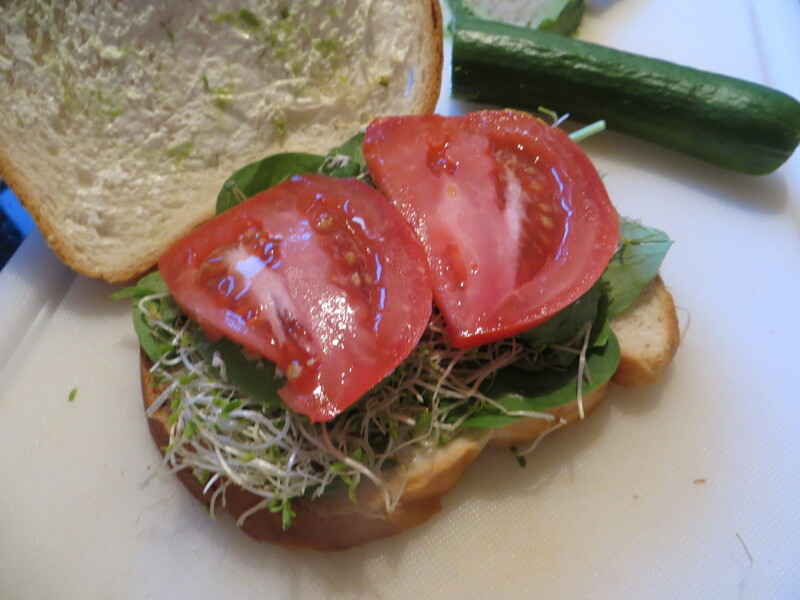 Add a tomato slice in place of the top layer of bread. 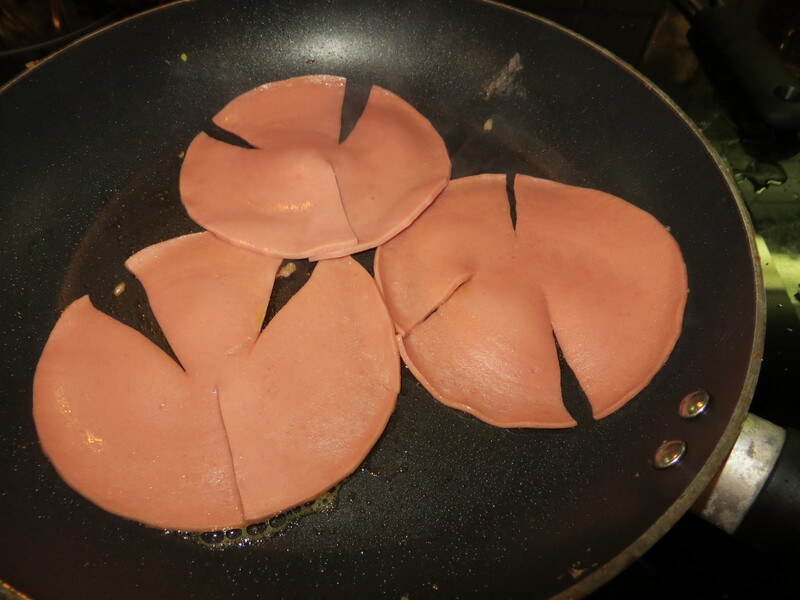 I’m not certain who cooked it, where it was or even when it was, but I vividly remember the taste of fried bologna sandwiches as a kid. 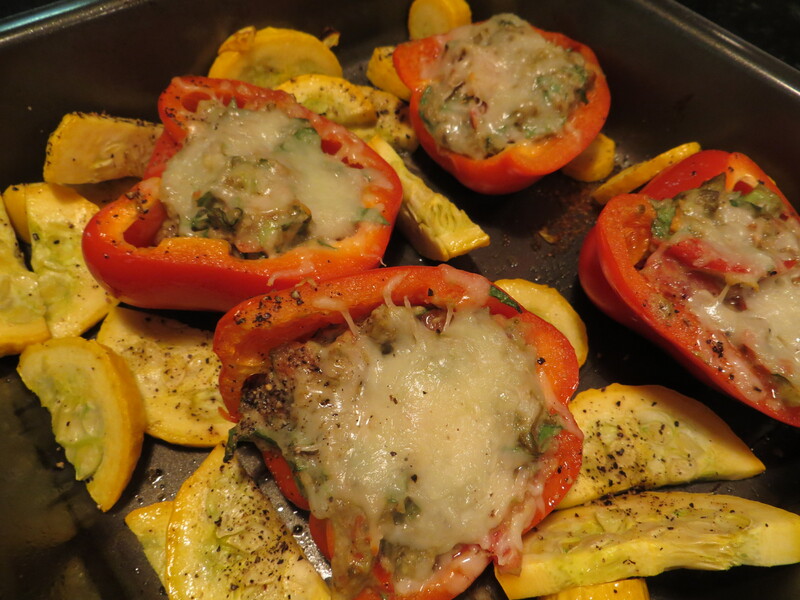 It would blacken in the cast-iron skillet while pan-searing. 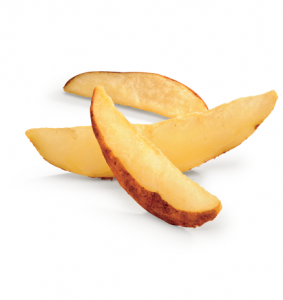 Oh so crispy, and oh so good. Where am I heading with this? Well…the other night I spotted a package of bologna in the fridge. It was purchased to make sandwiches for the grandkids. Unfortunately, they aren’t nuts about bologna and I wasn’t going to waste an entire package of bologna. A revised game plan was needed. 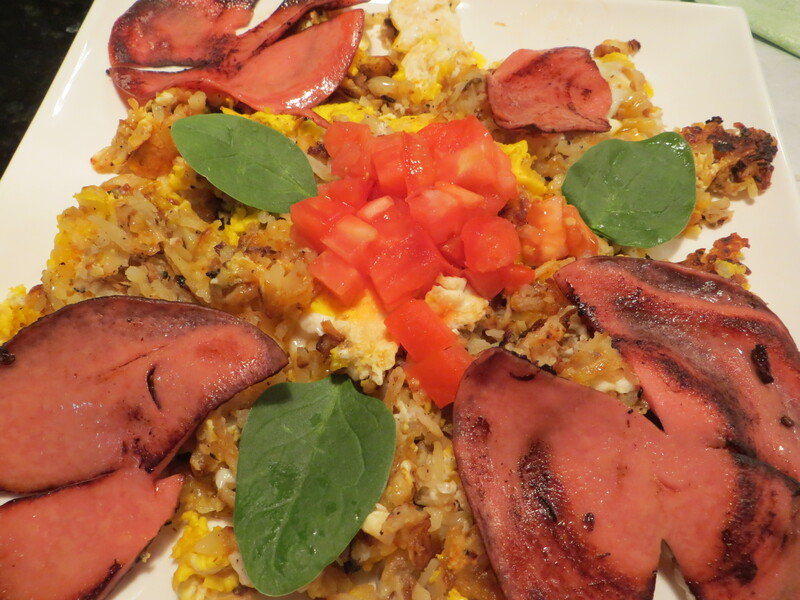 Fried bologna, fried potatoes and fried eggs dance around in my head (not really, but I just wanted to say it). This is a campfire breakfast. Something Paul Bunyan might have eaten before cutting down an entire forest. Hence, the name Bunyan Backwoods Breakfast. At least that’s the story I’m sticking to. My end results proved worthy of the idea and effort. Even the wine guy had a helping (or two). 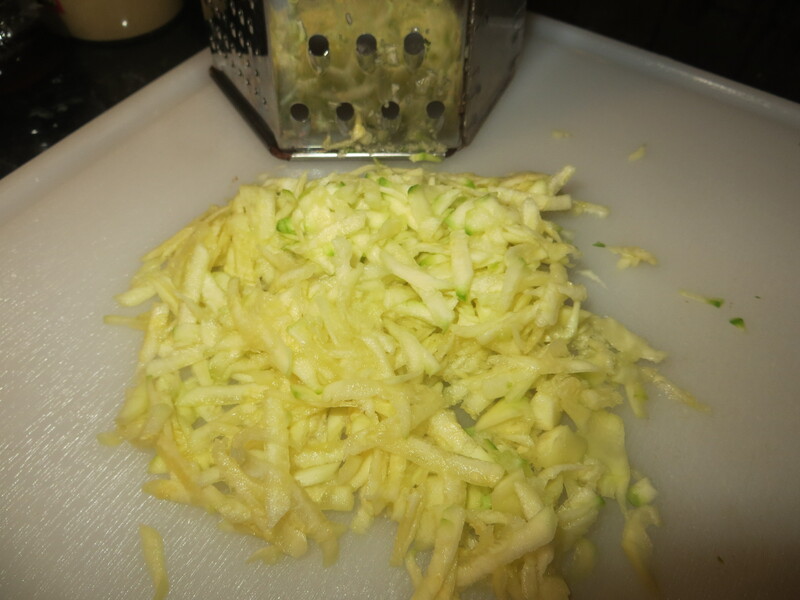 I use dehydrated hash browns (you add hot water and soak 10-12 minutes before cooking) and add freshly diced onion. Once the hashbrowns were a nice golden brown 1/2 cup of shredded cheddar was added and topped with 3 eggs. Season with salt and pepper. 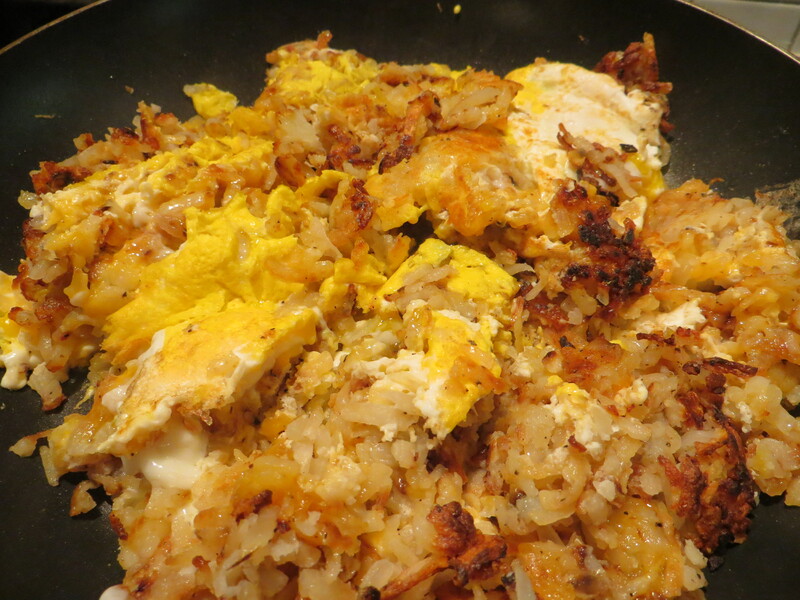 Place a cover over the skillet and kick up the stove top heat to ensure the eggs cook through. You can also cook the fried eggs separately. Plate hashbrowns and top with pre-cooked fried eggs. Or, how about an egg scramble? Beat 3 eggs just as you would for scrambled eggs. 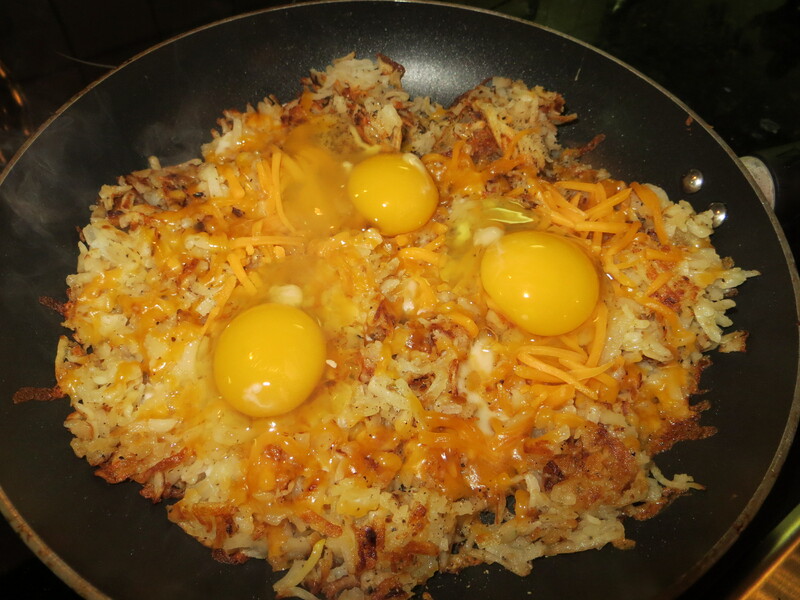 Mix into hash browns and cook until the eggs are a nice yellow color, flipping or stirring halfway through. Whatever egg variation used, the key ingredient is the blackened bologna. If you seek something leaner and lower in calories, consider turkey bologna. 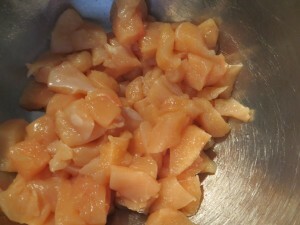 A number of ingredients can be added to this dish. 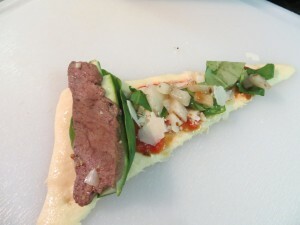 I selected chopped tomato and fresh spinach leaves as my garnish. 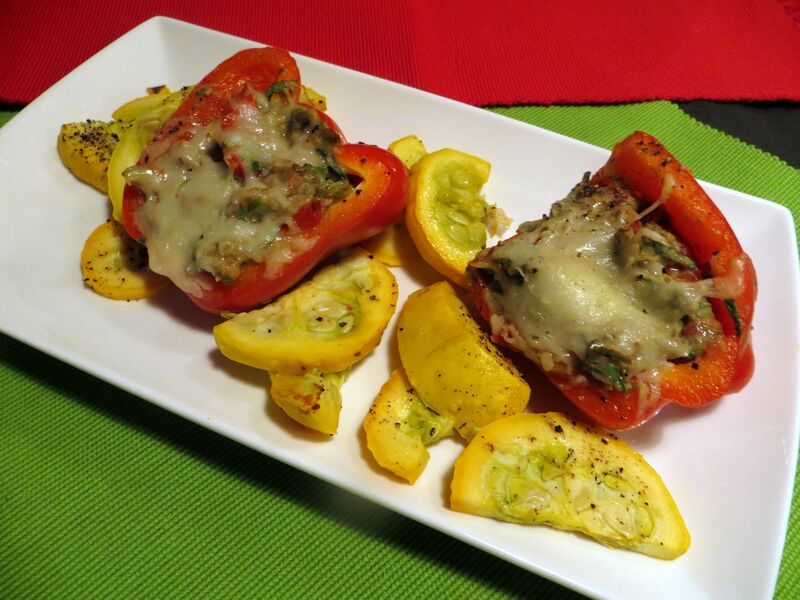 But, banana pepper rings, diced red pepper or sliced mushrooms are other options. Serving size is 1 cup of potato/egg mix plus (1) slice of fried bologna. 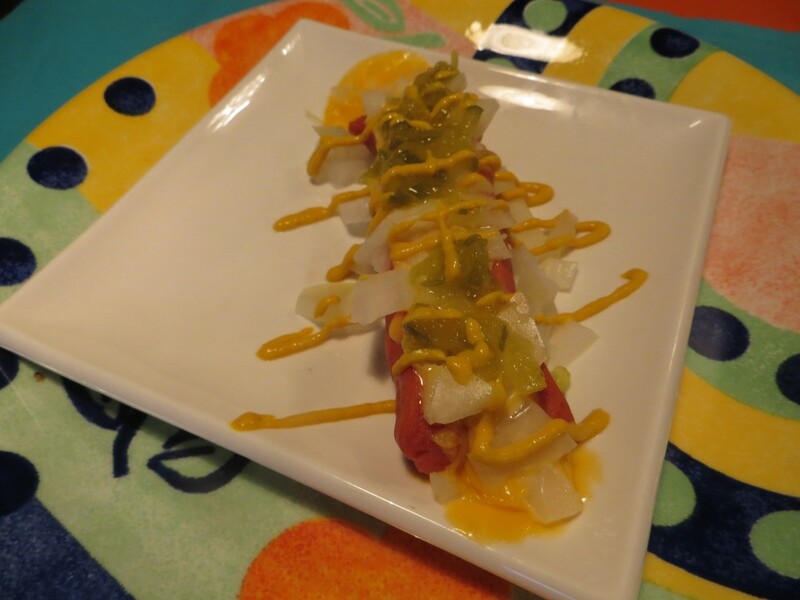 It generously serves three and is in the neighborhood of 350 calories. Substituting low-fat cheddar cheese (I used 1/2 cup of cheese) and reduced-fat turkey bologna will bring the caloric intake down to 300. Use non-stick cooking spray to cook the potatoes and pan-sear the bologna. 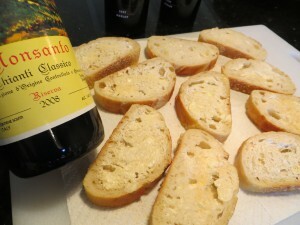 Reserve the cherished olive oil for dishes where it really makes a difference in taste. This isn’t one of those meals (my opinion). I opened the freezer and spotted a package of baquette slices ready to strut their stuff. They were like a wardrobe piece in your closet that cries out, “Use me, use me, dress me up.” And, so I did. I tend to seek out the failing fruit, veggies and pantry items when making a dish. With my busy life, I unintentionally ignore food items until they are near death. As usual, I was in starvation mode and wanted something quick & easy to keep my growling hunger under wraps and prevent me from launching into hunger attack mode. 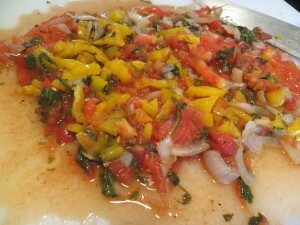 Place all the chopped/diced ingredients into a oven dish sprayed with non-stick cooking spray. Drizzle with 1 tablespoon olive oil. Bake at 350 degrees until ingredients are cooked through (about 8-10 minutes). Remove from oven and set aside. 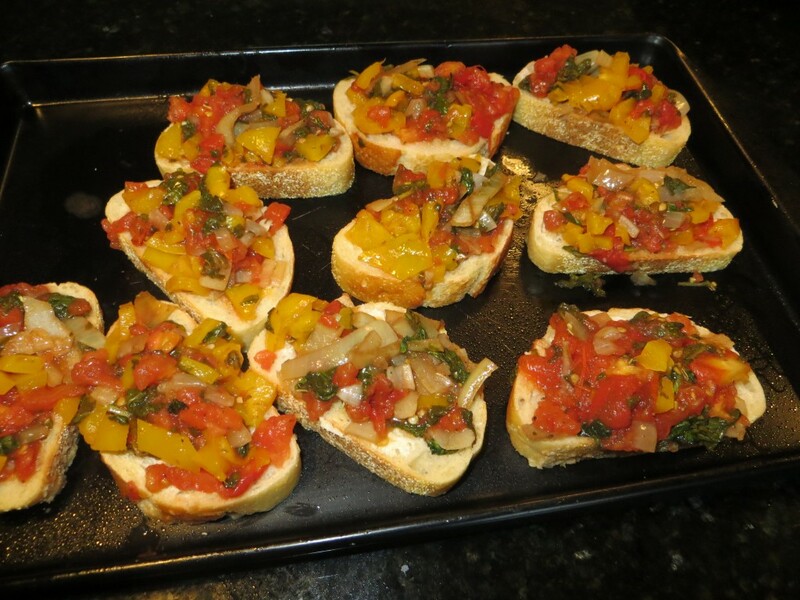 Brush baguette slices with olive oil and place on a cookie sheet sprayed with non-stick cooking spray. 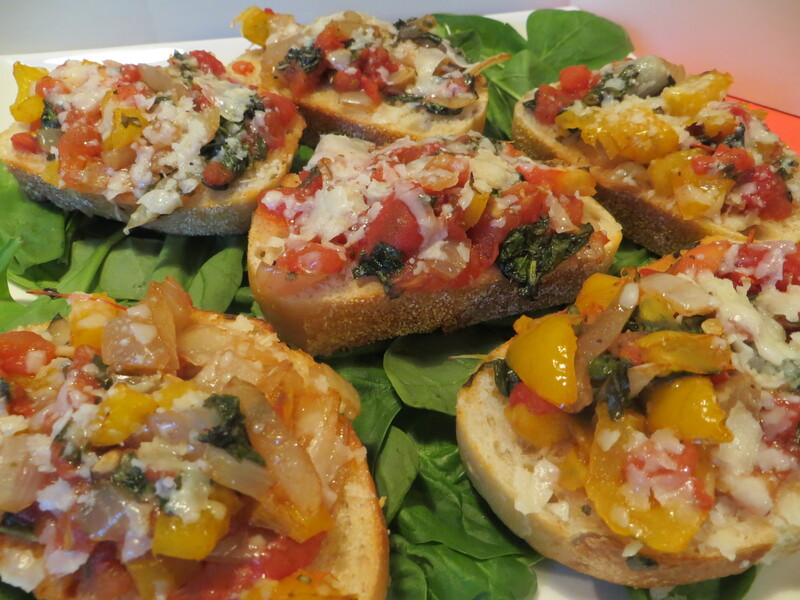 Evenly distribute the veggie mixture onto the top of each bread slice. Sprinkle bread slices with your choice of cheese. 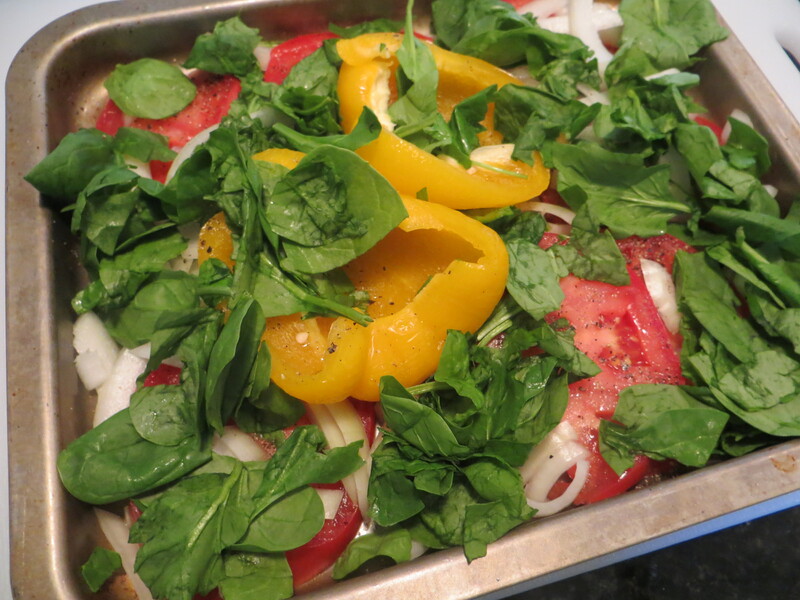 Bake in oven for 10 minutes at 350 degree F. While this bakes, arrange reserved spinach leaves on a serving platter and drizzle with balsamic vinegar. Arrange the baguette slices on top of the spinach leaves. Ten servings. 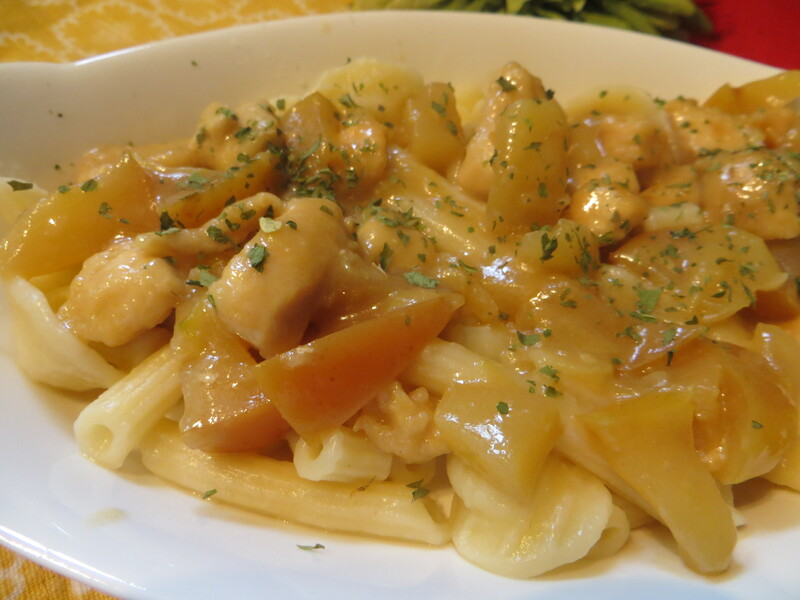 One serving is in the neighborhood of 150 calories. I could make a meal with two baguette slices and the bed of spinach/balsamic leaves. This is a must try finger food. 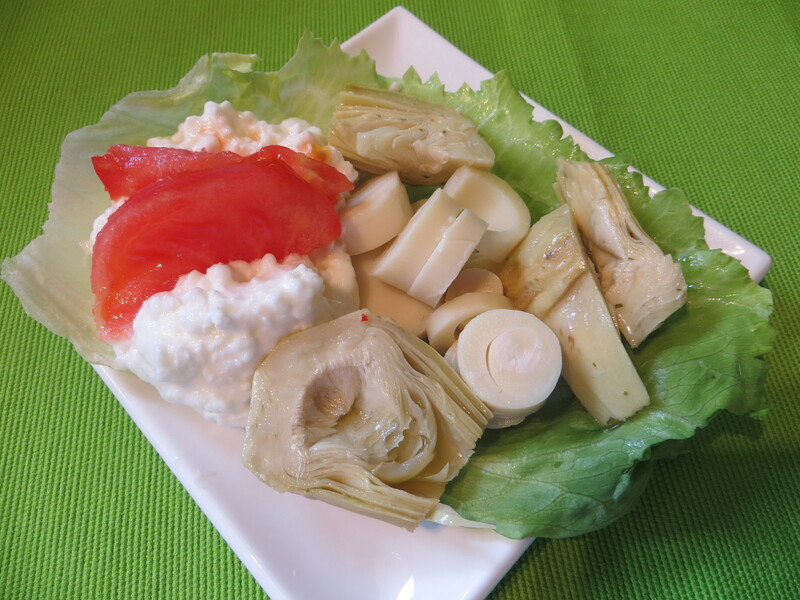 Pair it with a side dish of pasta or serve as appetizers. It’s super easy to make and takes about 12 minutes to bake in the oven. 3-4 ounce beef tenderloin (you can substitute beef with chicken). I personally like the beef flavor. Cut the meat into strips. Cook on stove top with garlic and onion until medium rare. 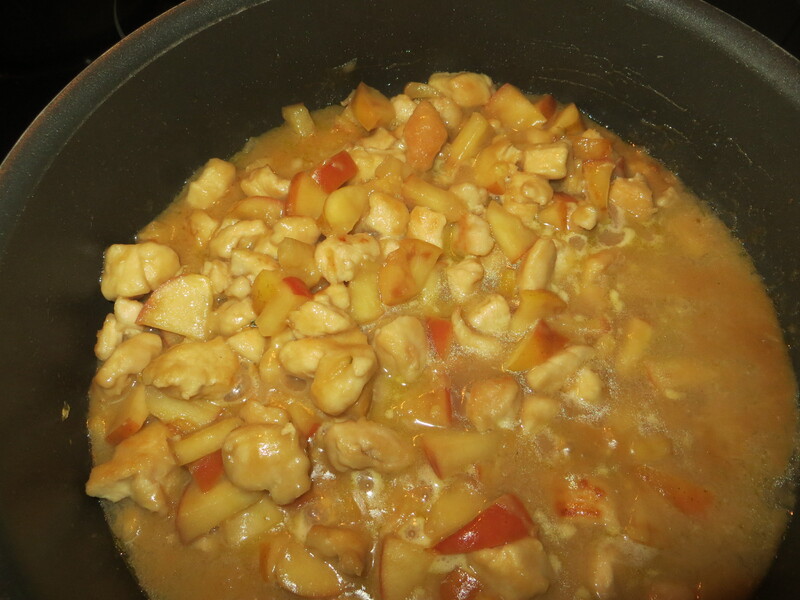 Leave in pan until ready to use. The meat will continue to cook when the croissant is baked in the oven. Separate the crescent rolls and flattened slightly with palm of hand. Brush lightly with basil olive oil. 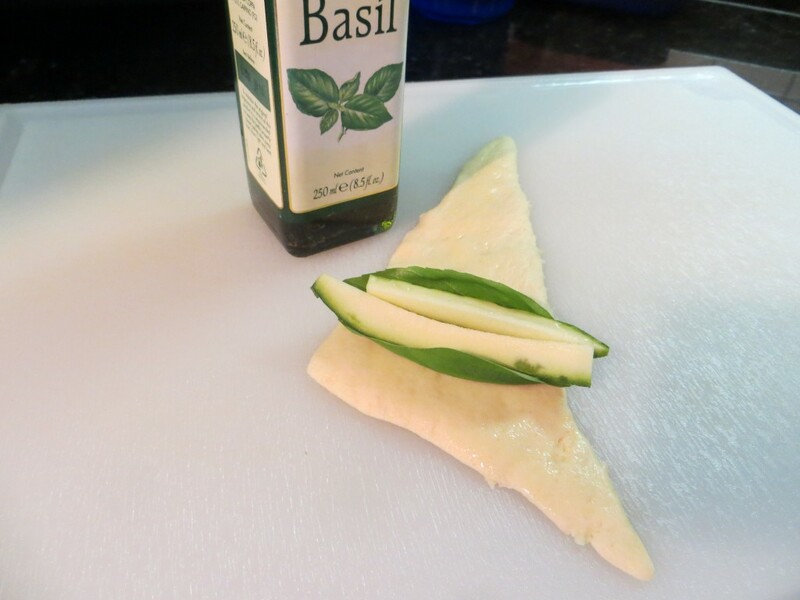 Position basil leave and slices of zucchini onto the crescent dough (about a third of the way down from the longest point). Place a strip of cooked tenderloin on the zucchini strips. Coat croissant with marinara sauce, chopped basil and a portion of the onion/garlic mixture used when cooking the meat. 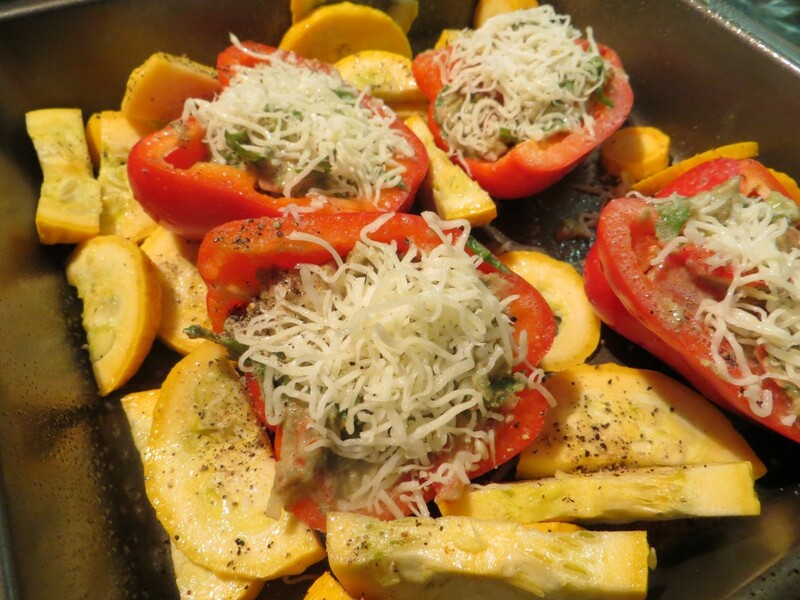 Sprinkle with a layer of Parmesan cheese. 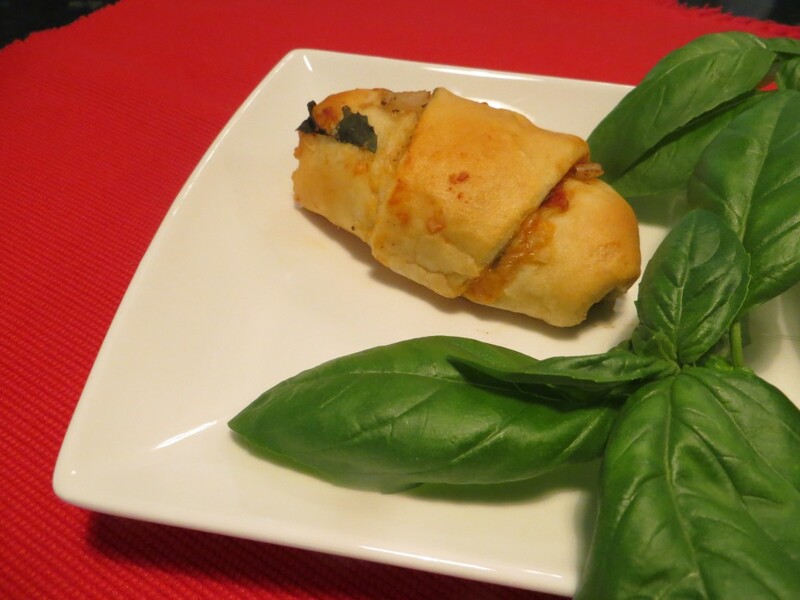 Roll croissant dough into a crescent shape. Repeat this process for all eight rolls. Spray a cookie sheet with non-stick oil and bake the croissants for 12 minutes at 375 degrees. Remove from oven and serve while warm. You get the best flavors if served warm. However, you can cook ahead and place in the fridge. Allow croissants to come to room temperature and serve. Quite honestly, these are good both hot and cold. So what’s the caloric damage for one of these delicious, can’t eat just one, sandwich? Not as bad as you might think. One serving is 150 calories. 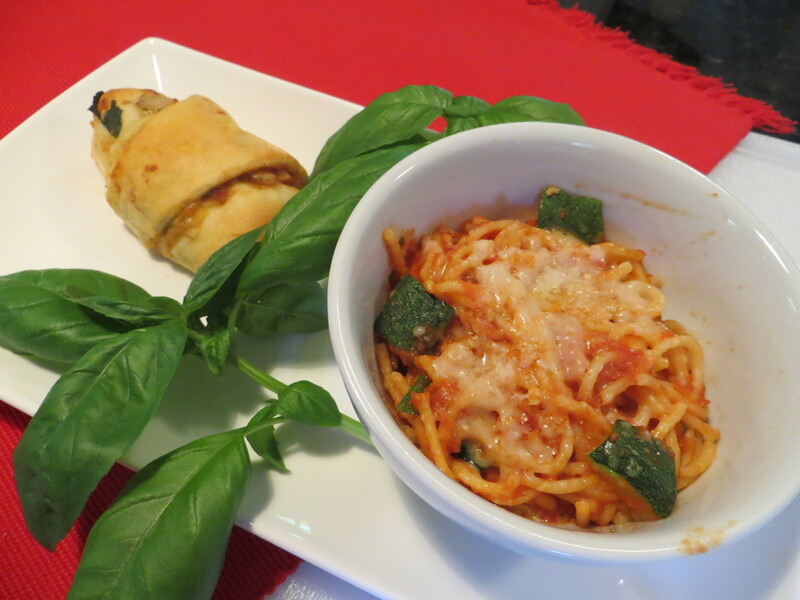 You can eliminate 15 calories by using non-stick basil flavored cooking spray. 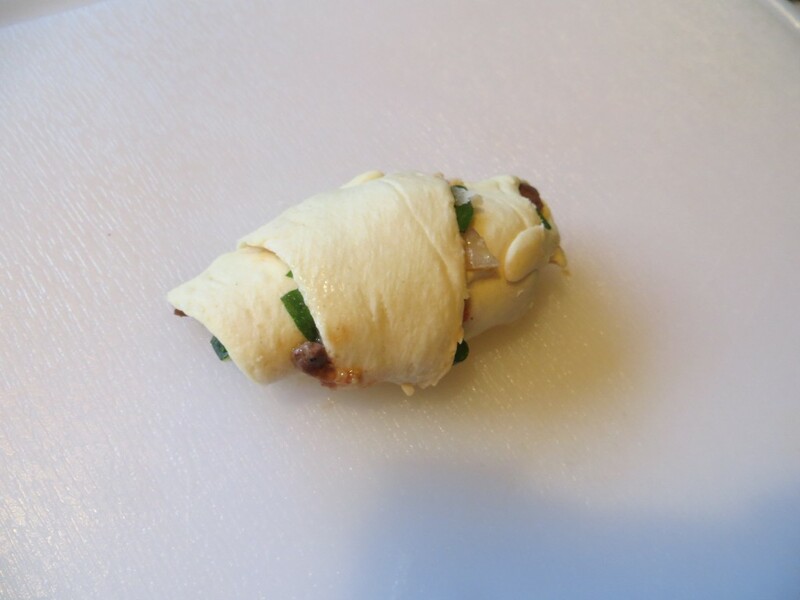 Lightly coat the croissant dough with basil spray before adding the stuffing ingredients. For my Vegan friends, here are a few ideas. Substitute the meat with blanched green beans, snap peas, fresh spinach leaves or Boca Italian meatless sausage links.